Described as ‘Carole King meets Patty Griffin meets John Mayer’, BBC Introducing announced her as one of their emerging ‘Sound of 2017s’ and was handpicked by BBC 6 to represent the BBC at Latitude Festival 2017. With Lawrence Hill opening this is going to be a very special gig. 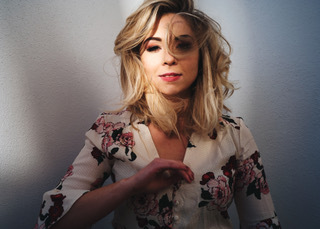 Described as ‘Carole King meets Patty Griffin meets John Mayer’, Lisa was championed by the Nashville Songwriters Association as their ‘One to Watch’; after she impressed the transatlantic audience with her unique and intelligent songwriting. She was also selected as a Song Suffragette songwriter in Nashville’s female-only singer-songwriter showcase. Lisa has released two EPs which both entered into the iTunes Country Charts at No.3 – making Lisa the only independent, female artist in the Top 30 at the time. It’s understandable to see why Lisa has often been described as “the UKs best kept secret”, but that’s all set to change ……..
Lawrence’s music is simple and catchy. He has received significant radio play from BBC Introducing and is a Playlisted Recording Artist on Spotify. Lawrence supported 80s star Kim Wilde on her European tour in 2016 after she discovered him in a local pub and became a big fan of his works. She says her personal favourite is the EP “Until The End Of Time” which she plays continuously in her car. At the beginning of 2017 Lawrence gave his fans a big shock by making an unannounced appearance on the new ITV show, The Voice UK. If you would like a free pair of tickets, let us know!